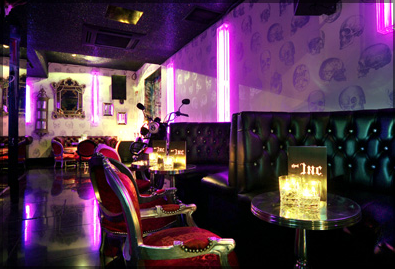 London nightclub Ghost INC («Ghost") opened its doors in October 2008. 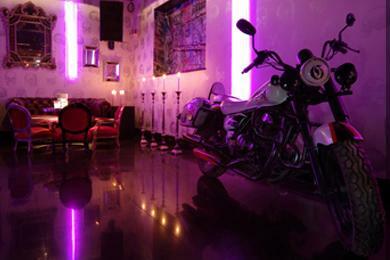 It is located in the basement of the hotel Gainsborough and is truly the most luxurious institution of the city. Each of the rooms of the club Ghost INC is very individual. Their interior to impress the most discerning guest house. 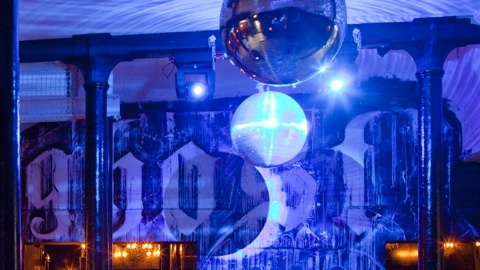 The walls of the club, a dance floor and columns decorated with bold graffiti thanks to the efforts of well-known designers and street artists. The bar offers a menu of more than 2,000 drinks and cocktails. At the dance floor with antique tables for guests who stay here can enjoy and dance to the best music of many styles - from rock and roll to hip-hop. Ghost will be located in a 400 capacity industrial chic space. Many of the original features, almost reminiscent of a warehouse, have been retained with an untouched cement floor, and five red brick arches which will provide discreet roped-off alcoves for people to sit under away from the main seating and dancing area. An enormous Ghost mural will be emblazoned over one entire wall and another area at the back of the main room will be covered in enormous letters etched by street artists and reading ‘Life is Beautiful’. With the industrial comes the characteristic touches shared by the other Ghost bars, including black glass chandeliers throughout, a black marble topped bar and an entire wall covered in bijoux mirrors of all shapes and sizes. Heavy black leather studded booths will dot the main floor and will also be located in more intimate nooks and crannies within the impressive space. Other quirky touches include a lift whose backdrop is a seemingly endless highway, and the VIP area will have a New York apartment theme with a bed, velvet drapes and candles sealing people off from the rest of the venue. 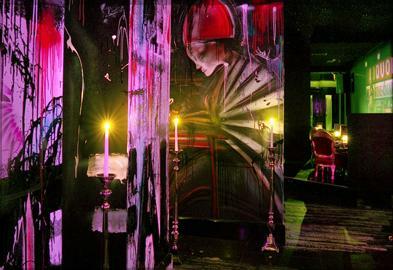 The centrepiece of the bar area will be a pool table entirely covered in graffiti, providing a unique dance floor with a twist for revellers. Ghost's impressive music offering will include a huge array of universally acclaimed acts with acts such as Jaded, The Hoxton Whores and Stunners International to name but a few. There will be an impressive selection of cocktails including El Presidente, a heady mix of Bacardi Oro, Limejuice, Sugar and topped with Champagne and Kentucky Fruit Cup, made from Wild Turkey Bourbon, Pimms, Lemon Juce, Crème De Pêche, Fresh Raspberries, and Mint topped with Ginger Ale. Cocktails are reasonably priced between £7-£9. Guests will also be able to feast on American diner style snacks such as mini burgers and chips and homemade brownies.